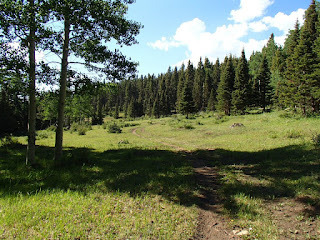 Angel Fire 50K, 50 Mile and 100 Mile registration is now online and is set for June 22, 2013. 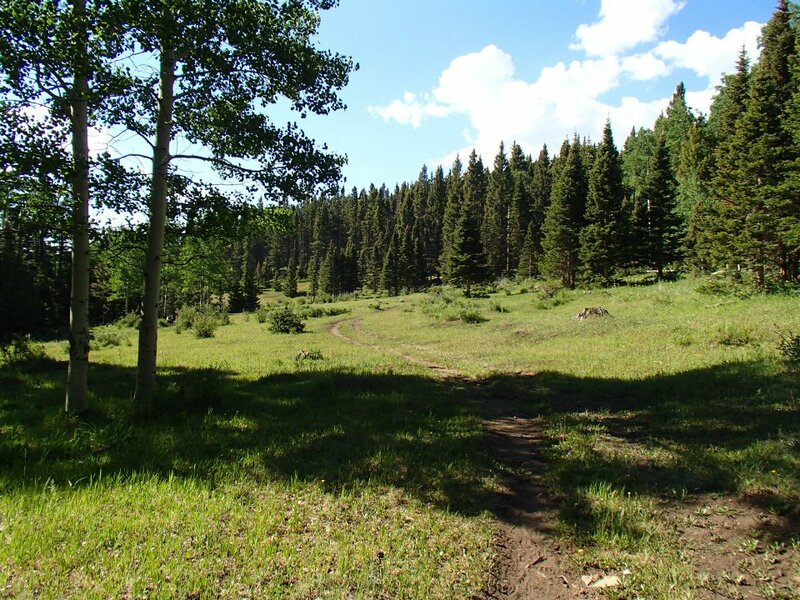 This race in Angel Fire, NM boasts a gorgeous course and the start/finish is in the parking lot of The Lodge at Angel Fire Resort which is beautiful and reasonably priced. Doesn't get much better than that! After a DNF last year I'm ready to tackle it again this year with better training and more determination. And I'll definitely be looking around me more to make sure I don't miss course markings this year! I am committed to another June race, may be next year? On another note, how is your health? Paleo works instead of surgery option? Julie-I nominated you for a Liebster Award. Check out this post to find out what to do. You inspire me SO much!! Thanks, Tanya! I'll try to work on it this week! You inspire me too sister! This one sounds really interesting (I remember from last year). Thanks for the reminder again. What is the course like? Hi Will! The course is a mix of double and single track road. A few miles of road right at the start. You start at about 8800 feet and climb to a little over 10,000 during the race. There are a few technical sections, but I'd say it's mostly not very technical. Being a flatlander, the toughest part for me is the altitude. It's a 12.5 mile out-and-back, with an additional 3 mile out-and-back for the 50K. There was only one 100 mile finisher last year out of 16 or so starters. I think that was for several reasons..the cutoffs for the 100 miler are a bit tough for the higher altitude and there were so many Oklahoma people running it that don't get to train at higher elevations and it took it's toll. There were a lot of seasoned 100 milers attempting it though, so it might just be a deceivingly hard course. The guy that finished the 100 was from the area and lives at nearby Philmont Ranch. If you have any questions let me know..would love to see you out there! Hi Julie! I came across your blog when starting to research the race a bit. Im signed up for the 50M. I'm easy to spot at 6'6" so stop me and say hi. I'll also have a cheering section of wife and 3 young kiddos as this run is going to be part of a trip. I hope to see you out there! Hi Steve, I'll definitely look for you out there! You're going to love the race..it's such a beautiful course. That's wonderful that you can make a trip out of it and include the family. I wish I would of started running when I was younger and my kids were younger. Such a good example to them to see healthy active parents.